Take a look at our top tips for starting your very own pop-up bar! What does it take to be WORLD CLASS Bartender of the Year? Stirring - it may sound easy but knowing the correct technique is crucial. Ali Reynolds shares some secrets on how to make the perfect frozen cocktails. Do you know your facts from your fiction when it comes to alcohol? A great way of adding new exciting flavours to your cocktails is by creating your own syrups. 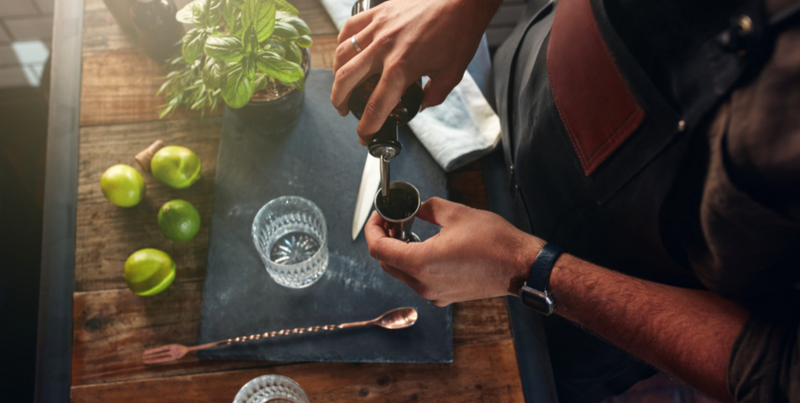 Whether you work behind the bar or serve tables, upselling is an essential skill for any top bar professional to have. Creating an effective website doesn't need to be time or money consuming. Check out our tips. Explore the history of the two part pour, why to do it and importantly how you do it.